Everyone has experienced some form of muscle tightness or stiffness at some point. Psychological and physical stress can cause muscles to tense causing an achy feeling because a tight muscle is just a contracted muscle that for many reasons fails to release and becomes a spasm or knot. Emotional stress is usually the origin of this physical tension as unconscious nerve impulses maintain the muscles in a partially contracted state, so prolonged psychological pressure and accumulated stress and anxiety are related to physical tensions and pains. In fact, muscle pain and soreness are very common symptoms that can also result from illness or injury. 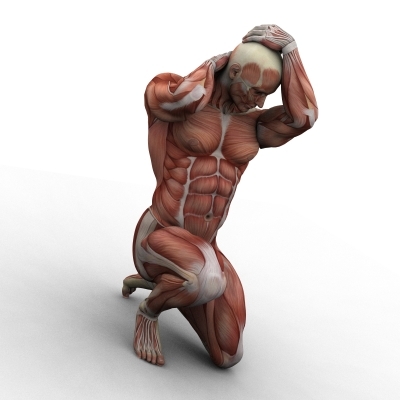 Even exercise can lead to muscle tension or muscular pain. Often individuals with the above mentioned conditions feel sore muscles and even frequent acute muscle spasm, aches and tension. If you can relate to these symptoms, this post will provide you some guidance on how to relieve them. Nowadays, many people prefer natural remedies abstaining from conventional medicines when alleviating muscle soreness. Massage has been used for centuries as an effective method for relieving muscle pain and promoting good health. Today, a professional therapist can employ different types of massage techniques to provide natural relief and comfort to specific body areas. Stiff necks, low back tightness, sore shoulders are some areas massage therapy can help with. Massages focus on trigger points or sensitive areas of tight muscle fibers that can form in your muscles and tendons, relieving tensions and strains. As the pressure is applied by the massage, blood vessels are dilated to provide optimum circulation and restore oxygen to tight cramping and contracted muscles. Some massage therapies are mainly designed to soothe severe or chronic tightness and are focus on deeper layers of muscle tissue, fascia and other structures. Massages are also recommended for people who are involved in heavy physical activity or have injuries and also help them to prevent further injuries in the future. When muscles are stressed, there are normally adhesions (bands of painful, rigid tissue) in muscles, tendons and ligaments. Adhesions can block oxygen and nutrient absorption, leading to inflammation that builds up toxins in the muscle tissue, thereby limiting movement. Massages on a regular basis help loosen muscle tissues, release toxins from muscles and get blood and oxygen circulating properly. With pressure or friction, massage works by physically breaking down these adhesions to relive pain and stiffness while relaxing the entire body, and restore normal movement. They are very effective in easing osteoarthritis pain, fibromyalgia, even when we reduce the stress on muscles we will be helping to maintain a proper and correct posture. All these benefits help you to improve flexibility and blood circulation, training the body to relax by restoring balance in the muscular-skeletal system, rejuvenating and improving performance, easing aches and pains and providing a general sense of well being. Todos hemos experimentado alguna vez cierta tensión o rigidez en los músculos. Esfuerzos tanto físicos como psicológicos pueden provocar que los músculos se tensionen y causen un sentimiento de dolor. Esto es debido a que un músculo tenso no es más que un músculo contraído que, por varias razones, es incapaz de relajarse y se producen espasmos o los conocidos nudos. El estrés emocional suele ser el origen de esta tensión física ya que los impulsos nerviosos mantienen los músculos en un estado de parcial retracción; por lo tanto, podríamos afirmar que una prolongada presión psicológica y la acumulación del estrés o la ansiedad están relacionados con las tensiones y dolores físicos. De hecho, el dolor y la inflamación muscular son síntomas muy comunes que pueden ser la consecuencia de diversas enfermedades, dolencias e, incluso, causados por el ejercicio regular. Varios estudios apuntan a que este es uno de los síntomas más conocidos que provoca la ansiedad, ya que las personas con este tipo de problemas suelen sentir dolores musculares, espasmos agudos, tensiones, etc.. Si tiene alguno de estos síntomas o conoce a alguien que los tiene, creo que la información de esta entrada en el blog puede darle alguna pista de qué se podría hacer para aliviarlos. Como ya les informé la semana pasada, mucha gente prefiere remedios naturales y se distancian de la medicina tradicional como antídoto para aliviar la rigidez y el dolor muscular. Los masajes se han utilizado durante siglos como un potente y eficaz método para aliviar el dolor muscular y promover un estilo de vida saludable. Hoy los masajes pueden ser empleados por terapeutas profesionales a través de diferentes y variadas técnicas que proporcionan un alivio natural a áreas específicas de nuestro cuerpo. Rigidez de cuello, opresión en la parte baja de la espalda, hombros adoloridos, etc. son algunas de las zonas en las que la terapia de masaje puede ayudarnos. Además, para aquellos que practican deporte estos masajes alivian la tensión muscular y las heridas causadas por la actividad deportiva, así como previenen futuras lesiones. Cuando los músculos se estresan, normalmente se producen adhesiones (dolores, rigidez, etc.) en los músculos, los tendones o los ligamentos. Éstas pueden bloquear el paso del oxígeno y de los nutrientes, provocando una inflamación que produce toxinas en el tejido muscular y que, entre otros problemas, produce limitaciones en los movimientos. Los masajes se enfocan en puntos concretos en los músculos y tendones, y ayudan a aflojar esas tensiones, así liberando las toxinas musculares y favoreciendo que tanto la sangre como el oxígeno circulen apropiadamente. Por lo tanto, los masajes ayudan a evitar la producción de calambres y músculos contraídos, restaurando el movimiento natural del cuerpo. Son muy efectivos a la hora de utilizarlos para reducir el dolor de la artritis, la fibromialgia e, incluso, cuando se reduce el estrés muscular, se ayuda directamente a mantener una postura apropiada y correcta. Para terminar, me gustaría que tengamos en cuenta que todos estos beneficios a parte de otorgar una favorable sensación de bienestar y de aliviar dolores e incomodidades, ayudan a mejorar nuestra flexibilidad y la circulación sanguínea, manteniendo siempre el balance óptimo que nuestro sistema muscular y nuestro esqueleto necesitan. A few weeks ago we learnt how regular massage therapy can improve blood circulation. Today I will focus on another aspect related to the circulatory system: how massage reduces hypertension and lowers blood pressure. Smoking, drinking alcohol in excess, bad eating habits, stress, overweight and leading a sedentary lifestyle are all factors that have been associated with high blood pressure. High blood pressure is not a big deal. The fact is high blood pressure can lead to damage of your blood vessels, kidneys, heart and other organs. It cannot be prevented. During the early stages, one may not notice the symptoms. It is therefore recommendable to prevent any worsening of the condition by eating a healthy diet, limiting salt and alcohol consumption, getting regular exercise, keeping your weight at a healthy level, etc. Cholesterol matters more than blood pressure. High blood pressure puts stress on our blood vessels and makes it easier for the ‘bad’ cholesterol particles to penetrate the inner lining of our vessel walls, where they accumulate and create a blockage that could eventually lead to heart attacks and strokes. A bad headache could mean your high blood pressure is about to bring along a stroke. It is true that when you experience any pain, your body’s normal adrenaline response leads to an increase in heart rate and blood pressure, but the fact is that you cannot feel blood pressure and that a bad headache does not mean that you are about to have a stroke. 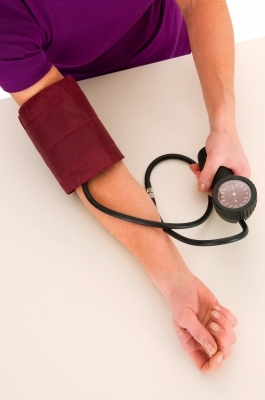 High blood pressure can quietly damage your body for years before symptoms develop. If unnoticed or uncontrolled, it can lead to other health problems such as disabilities, poor quality of life or even fatal heart attacks or strokes. According to the European Heart Network, each year cardiovascular disease causes over 4.3 million deaths in Europe, nearly half of all deaths. 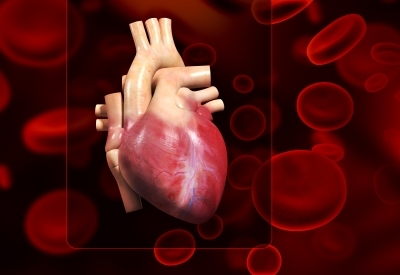 Cardiovascular diseases are one of the main causes of death in most developed countries. Fortunately, natural remedies and lifestyle changes can help you control high blood pressure and reduce stress and the risk of life-threatening complications. Adults with hypertension should aim to reduce their stress level in order to prevent rises in blood pressure. Massage therapy can actually help to reduce blood pressure in the long-term. However, massages increase blood flow, so it is advisable that you visit your doctor first to check your conditions and get the clear. Several studies have been conducted in order to find an answer to the question on whether massage therapy helps reduce high blood pressure or not. In fact, research proves that massage therapy actually provides relief in terms of hypertension as well as various other health disorders. A study carried by the University of South Florida in 2005 showed that patients suffering from hypertension who received 10 massages of 10 minutes each over a three week period had significant improvements in their blood pressure compared to a control group who simply rested in the same environment without receiving any massages. Moreover, as we seen in the post dedicated to blood circulation, people affected by circulatory problems and high blood pressure can get many benefits thanks to regular massage treatment as well as experience how their nervous system improves by regulating blood pressure and reducing stress. Massages stimulate the brain, where oxytocin is release to help reduce heart rate. Hace unas semanas aprendimos cómo cuando recibimos sesiones regulares de masaje mejoramos la circulación sanguínea. El post de hoy está enfocado en un único aspecto relacionado con el sistema circulatorio: cómo los masajes reducen la presión sanguínea y la hipertensión. El consumo elevado de alcohol, fumar, una dieta desequilibrada, el estrés, el exceso de peso, el sedentarismo, etc., son algunas de las causas comunes que provoca una presión arterial alta. La presión alta no es un problema. El hecho de que la presión sanguínea sea alta puede conllevar un daño en las venas y las arterias, los riñones, el corazón u otros órganos. No puede prevenirse. En un principio puede ser que no se noten síntomas pero sí es posible reducir el riesgo a través de una dieta sana y equilibrada, limitando el consumo de sal y alcohol, haciendo ejercicio con frecuencia, controlando nuestro peso, etc. El colesterol es más preocupante que la presión sanguínea. La presión alta pone estrés en nuestros vasos sanguíneos y facilita el paso de las partículas que contienen colesterol malo, permitiendo que éstas se implanten en las paredes de las venas, que se acumulen y formen una especie de placa que favorezcan los paros cardiacos y las apoplejías. Un dolor de cabeza puede querer decir que la presión sanguínea alta está a punto de provocar un derrame. Es cierto que cuando sentimos dolor nuestro cuerpo responde aumentando los latidos del corazón y la presión pero, lo cierto es que uno no puede notar la presión sanguínea y que un dolor de cabeza no se debe a que se vaya a producir un derrame. La presión arterial alta puede perjudicar a nuestro cuerpo durante años antes de que se desarrollen los síntomas, si bien, a veces, no encontraremos ni siquiera la más mínima manifestación durante las primeras fases. Si bien, la mayoría de la gente siente síntomas directamente en los órganos maltratados por la alta presión sanguínea. Si no tenemos cuidado y no se controla, esto puede provocar otros problemas de salud como minusvalías, o incluso ataques al corazón y derrames cerebrales. De acuerdo con la Red Europea del Corazón, las enfermedades cardiovasculares causan más de 4.3 millones de muertes en Europa cada año, casi la mitad de todos los fallecimientos y dichas enfermedades son también la causa principal de deceso en los países desarrollados. Afortunadamente, con terapias naturales y manteniendo un estilo de vida saludable, se puede controlar la presión sanguínea y reducir el riesgo de complicaciones que amenacen nuestra salud, especialmente prevenirla en situaciones de tensión. Es aconsejable que los adultos con hipertensión reduzcan el nivel de estrés para prevenir aumentos de presión sanguínea y, tal y como vimos en los primeros post, los masajes ayudan a reducirlo. De todas maneras, siempre hemos de tener en cuenta que los masajes aumentan el flujo sanguíneo y recomiendo que se visite al médico para revisar su salud y sus condiciones con el objetivo de verificar si todo se encuentra bien para proceder a estimularnos gracias a los masajes. Varios estudios se han dirigidos con el fin de encontrar una respuesta a la cuestión de si el masaje ayuda a la reducción de la hipertensión o no. Y de hecho, muchas investigaciones han probado que, efectivamente, sí que ayudan tanto en los problemas de tensión alta como en otros trastornos de la salud, pero no se aconseja cualquier tipo de masaje, si no uno cuya técnica sea suave y ligera. En el 2005, un estudio de la Universidad de Florida del Sur, con pacientes que padecían hipertensión recibieron diez masajes de diez minutos cada uno durante tres semanas, mostraron mejoras en la presión sanguínea, comparados con un grupo que simplemente descansaba en el mismo recinto pero sin recibir terapia de masaje alguna. Y, como vimos en la entrada sobre la circulación sanguínea, las personas afectadas por problemas circulatorios y por alta presión que realizan tratamientos regulares con masajes comienzan a notar cambios significativos en la mejora de las funciones de nuestro sistema nervioso, en la regulación de la presión arteria o la disminución del estrés, que tanto se sufre actualmente. Los masajes estimulan el cerebro, donde se produce la oxiticina, una sustancia química que favorece la disminución de la frecuencia cardíaca y, por tanto, incrementan la producción de dicha hormona. Para ayudar a controlar la presión de las arterias, es muy importante, como antedije, adoptar estilos de vida saludables, y entre ellos incluyo dejar el tabaco, una dieta baja en grasas, sal y colesterol y siempre practicando con regularidad el ejercicio físico. Firstly, I would like to extend my sincere apologies to my readers for the lack of regular publishing of posts during the last month. The idea of the series of posts on the benefits of massage therapy is to generate awareness on the numerous benefits of massage therapy. Massages are not just known for their relaxing effects but also for being an effective tool in maintaining good health. In a previous post, I explained how massage therapy could improve bad postural habits and today I would like to share with you the benefits this therapy has on our immune system. The immune system is a collection of organs, cells and tissues that work together to protect our body from disease and illness, caused mostly by pathogens (parasites, bacteria, viruses…), through the production of lymphocytes and plasma. 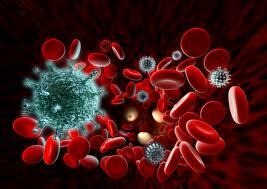 The immune system also helps to detox and cleanse our body and provide nutrients to our cells. Together with the circulatory and lymphatic systems, the immune system drains excess fluids from our cells and tissues thus helping maintain fluid balance in our body. We know we are constantly exposed to bacteria and viruses and we are vulnerable to infectious illnesses such as respiratory or urinary problems. Some people tend to have a weak constitution while others do not show any sign of poor health. The assiduousness of illnesses such as allergies, fatigue, arthritis, etc. can give us a sense of the strength, or weakness, of our immune system. Developed in the 1930s by Danish practitioner, Dr. Emil Vodder, lymphatic drainage is known to stimulate the immune system, improve our metabolism, help the body to eliminate waste and toxins, and to boost the immune system. Due to the thin-walled lymph vessels and capillaries in our body, even a gentle and smooth massage makes an impact on lymphatic circulation. As we learnt last week with the circulatory system, massage therapy will stimulate and boost the body´s ability to eliminate waste and absorb nutrients. This process helps improve the health of our tissues and organs, especially during injuries. Professor of psychology and psychiatry, Gail Ironson, at the University of Miami, carried out research studies investigating the impact of massage therapy on the immune system. These studies revealed an increase in serotonin and in natural ‘killer cells’, viewed as the first line of defense in our immune system. It has also been noticed that patients with breast cancer, leukemia, bulimia or HIV have shown an improvement in immunity and neuroendocrine functions through massage therapy. Regular lymphatic drainage and therapeutic massage sessions are especially useful for individuals who suffer from common illnesses like colds or flus. They are also recommended for those who lead sedentary lifestyles and do not exercise regularly, or those who want to reduce puffiness or swelling. Lymphatic drainage massages also have a positive effect on skin problems, cellulite, dysfunctional respiratory systems and people with low energy or high levels of stress, as they tend to get sick often. There are many more benefits of strengthening our immune and lymphatic systems such as: decrease in edema of extremities (arms and legs), encouraging a quick recovery of fatigued, sore muscles and from illness general illnesses, increase in the retention of nitrogen, phosphorus, and sulfur to aid in bone repair. One needs to be aware that when the lymphatic circulation slows down, the regeneration of cells becomes less effective causing cellular oxygenation to decrease and tissue regeneration to diminish. It is always important to have in mind that massage therapy provides a great addition to your exercise routine and your healthy eating habits thereby keeping your immune system strong. Como les he ido indicando a través de esta serie de entradas, los masajes no solo son útiles para relajarnos sino también para mantener una buena salud. La semana pasda vimos como esta terapia mejora la circulación sanguínea y hoy hablaré de otro sistema que, en muchas ocasiones, va íntimamente ligado: el sistema inmunológico. El sistema inmunológico se encarga de defender al cuerpo contra las infecciones (bacterias, virus, sustancias ajenas al organismo, etc.) formando linfocitos y células plasmáticas, pero también purifica y evacua; además, junto a los sistemas circulatorio y linfático asegura el drenaje de los tejidos: recoge el agua que sobra de nuestro cuerpo, absorbe las disoluciones coloidales (proteínas, grasas, etc.) que no fueron absorbidas por otros sistemas. Sabemos que estamos constantemente expuestos a bacterias y virus y que estos pueden provocar enfermedades infecciosas, respiratorias o urinarias. Algunos tenemos una constitución más débil, otros, sin embargo, no muestran señal alguna de debilidad en su salud. También enfermedades como las alergias, fatiga, artritis, etc. pueden darnos una idea de la resistencia o debilidad de nuestro sistema inmunológico. Desarrollados en los años 30 por el doctor danés, Emil Vodder, los drenajes linfáticos refuerzan este sistema y son muy eficaces entre otros motivos debido a que la membrana de los vasos linfáticos es muy fina y contiene pocos elementos musculares, por lo que incluso el masaje más suave y ligero va a tener un impacto en la circulación linfática. El masaje provoca algo similar a lo que sucedía con la circulación venosa que veíamos en la entrada de la semana anterior: los tejidos se vacían y se absorbe el líquido sobrante y los desechos tisulares. Este efecto puede favorecer la salida de sustancias tóxicas y ajenas cuando exista alguna lesión en la zona, lo que contribuye a la desaparición del edema y a una curación más rápida. Pacientes con cáncer de pecho, leucemia, bulimia o que portan el virus del sida, han mejorado su sistema inmunológico y sus funciones neuroendocrinas tras recibir sesiones de masajes. Sus efectos positivos han quedado demostrados en varios estudios. El profesor de psicología y psiquiatría, Gail Ironson, de la Universidad de Miami, ha dirigido estudios donde se investigó el impacto que la terapia de masaje tiene en el sistema inmunológico verificando un aumento de serotonina y células nulas, que son primordiales para la defensa del sistema. Sesiones regulares de masajes son especialmente útiles para aquellos que sufren enfermedades comunes como resfriados o gripes, ya que los masajes administrados en el abdomen ayudan a aliviar los estreñimientos y a la apropiada eliminación de líquidos, que a veces producen este tipo de dolencias. También muy recomendados para quienes tienen vidas sedentarias, no hacen ejercicio con regularidad o necesitan reducir hinchazones. Obtienen resultados muy positivos cuando se usan para tratar problemas respiratorios, de piel, celulitis o para gente que tiene poca vitalidad y niveles de estrés muy altos lo cual suele conllevar a una mayor tendencia a caer enfermos. Hay muchos más beneficios a la hora de reforzar nuestro sistema inmunológico y linfático, entre ellos: se reducen edemas en las extremidades (brazos y piernas), permite una recuperación más rápida del cansancio y músculos doloridos, enfermedades, amplía la retención de nitrógeno, fósforo y azufre, destinados a reparar los huesos. Así cuando la circulación linfática se reduce, la regeneración de células es menos eficaz lo que provoca un descenso de oxigenación celular y de regeneración de tejidos. Es siempre importante recordar que la terapia utilizada con el masaje es un perfecto complemento en una rutina de ejercicios y gimnasia y con una dieta equilibrada y saludable. Así mantendremos nuestro sistema inmunológico resistente y en las mejores condiciones. En los dos primeros post les informé sobre cómo sesiones de masaje pueden mejorar nuestro estado psíquico. Hoy, al igual que la semana anterior, voy a tratar un tema de salud física; les quiero informar sobre el tipo de masaje enfocado a favorecer y estimular la circulación sanguínea, también conocidos simplemente como “masajes circulatorios”. Al igual que cuando exprimimos una esponja, cuando un músculo está tenso tampoco retiene líquido ni deja que ningún fluido lo atraviese. Esto dificulta la circulación y, por tanto, hace que el corazón trabaje más. Debido a este hecho, podemos sentirnos más cansados de lo habitual o tener dolores y, por su puesto, notaremos cómo nuestra energía afloja y disminuye. En general, la gente con mala circulación puede sufrir efectos secundarios en el sistema inmunológico y en el funcionamiento de determinados órganos vitales. Además, pueden tener ciertos malestares o molestias como: sequedad en la piel, pérdida de cabello, vértigo, retención de líquidos, manos y pies fríos, arritmias, problemas de memoria, dificultades respiratorias, cansancio y dolores provocados por una acumulación de ácido láctico en los músculos. Los masajes mejorarán nuestra circulación añadiendo oxígeno a nuestras células rojas y aportando la sangre oxigenada que los músculos dañados y tensos necesitan para sanarse. Esta terapia, gracias a la eliminación de toxinas y al fomento del intercambio de nutrientes, ayuda enormemente a activar el riego sanguíneo y a estimular las terminaciones neuromotoras de los vasos. Su aplicación sobre el sistema circulatorio va a influir en la intensificación del reflujo linfático y sanguíneo, aumentando el flujo de sangre arterial y activando, de manera general, la circulación; establece una nueva distribución de la sangre desde los órganos internos hacia los músculos y piel. La sangre redistribuida provoca un incremento de la temperatura local, calentando los tejidos y transformando su estado físico y químico. Debido a la relación entre los receptores la temperatura se extiende a otras zonas un poquito más alejadas. Algunas técnicas relajantes hacen bajar la frecuencia cardiaca ya que aumenta el volumen sistólico del corazón y el tono del nervio vago. Bajo la influencia del masaje el flujo de la sangre venosa se acelera y facilita el trabajo del músculo cardíaco. La circulación arterial: Los movimientos durante el masaje provocan un estímulo en el flujo sanguíneo arterial y una aceleración de la circulación gracias a la dilatación de los vasos sanguíneos. Debido al incremento del flujo arterial se produce el aumento de oxígeno y de sustancias nutritivas que se distribuyen con mayor fluidez y facilidad hacia diferentes órganos y tejidos. Este hecho es el que permite una mejora del estado de la piel y los tejidos subyacentes. El tono rosado adquirido tras una sesión de masaje es una muestra evidente y visible. La circulación venosa: favorece el flujo de sangre en las venas, el retorno sanguíneo al corazón y la actividad de las válvulas. El masaje sobre este sistema coopera en los casos de musculatura fatigada. La circulación linfática (vasos colectores y ganglios linfáticos). Trataré este tema con mayor profundidad en la próxima entrada. Como antedije, en general, tras unas sesiones de masaje el color de nuestra piel cambia debido a la mejora de ese flujo sanguíneo y a la eliminación de las toxinas de los tejidos y absorción de líquido sobrante. En casos de anemia se estimula la función formadora de hemoglobina y aumenta el número de glóbulos rojos. Para los problemas de circulación en las piernas o piernas hinchadas, son altamente recomendables recibir unas sesiones que nos ayudarán a estimular y acelerar la circulación y evitará la acumulación de líquidos en esta parte de nuestro cuerpo. Recomiendo este tipo de masajes para personas que pasan muchas horas del día bien sea de pie o sentados. Esta técnica ayuda a reactivar la circulación y prevendrá problemas circulatorios a la vez que minimiza la tensión muscular y nos dejará una agradable sensación de bienestar.